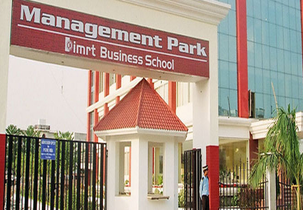 Institute of Management Research and Technology (IMRT) were started with the aim to create development in research, education and placements. The institute provides enrollment of about 1000 students in undergraduate, postgraduate and research programs. This institute is an excellent and aim to deliver world class management education, active centric research and value-added pedagogy. The faculties mentor the students in such a way they are ready to face the challenges in the business world. The faculties are well qualified and educated having an impeccable academic record in their previous years and goal of the Institute is to enterprise and offer programs that supply to market necessities. The students are provided with support and unique teaching methods to help them solve their queries. The institute provides meritorious students with scholarships and has a record of providing nearly 150 students in the previous batches. This institute believes in the social and economic dynamics of our country, IMRT has a superior part to play in enriching the employability skills of young minds and in serving the economy attain a modest edge. They are continuously apprising the agendas and the pedagogy and faculty has dynamically been engaging in research of academics. They are dedicated to make IMRT a Centre for brilliant learning and teaching experience. Indian oil, Pepsi, Citibank, Kent, Vodafone, Wipro, HP, Pepsi, Sony, Just Dial, Asian Paints, ICICI Bank, Kent, Bank Of India Etc. Library, Wi-Fi Campus, Badminton Court, Library, Computer Labs Etc. Library has more than 16432 Book, Delnet, journals, magazines, periodically ,CD ROMs, books, titles etc. Available for staff and students. Hostel is provided for girls and boys. Top ranked institutes in management in the entire country. More than 1000+ brilliant students and are placed in 500 MNCs, Companies and leading corporates. The institute has tie ups with Government of India to encourage the students with startups. 100% scholarship to the meritorious students and 100+ experienced faculties from top institutions. About 150+ top corporate companies visited the campus for recruitment. The placement process of the institute includes Summer Internship Programs for 6-8 weeks duration and Final placements in the month of February through pre placement offers. The students are provided with regular industrial visit and corporate speak in order improve their personality and skills. The institute has 5 to 6 hostels and the fee is affordable by the students of all the sectors of the society who get admissions in the college for various courses. The hostel has AC and non AC rooms as per the demand of the students and have to pay INR 40 for the food buffet for each time. The institute provides MBA and PGDM courses of 2 years duration each having 4 semesters. The management courses trains the students in such a way they are industry ready to face the challenges in the present world of technology and management. Write Your Reviews on "Institute of Management Research and Technology"
Are you Interested inInstitute of Management Research and Technology"? Please provide the following details. Ask Question on "Institute of Management Research and Technology"?